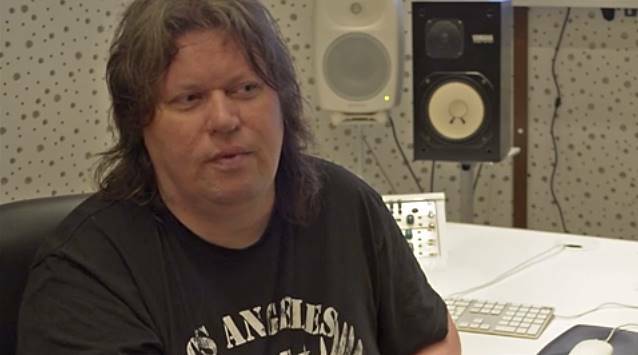 Timo Tolkki is a well known and highly revered musician best known as the creative force behind some seventeen STRATOVARIUS releases and a member of groups such as REVOLUTION RENAISSANCE (alongside members of HELLOWEEN, EDGUY, AVANTASIA and THUNDERSTONE) and SYMFONIA (members of HELLOWEEN, SONATA ARCTICA, ANGRA and AVANTASIA). 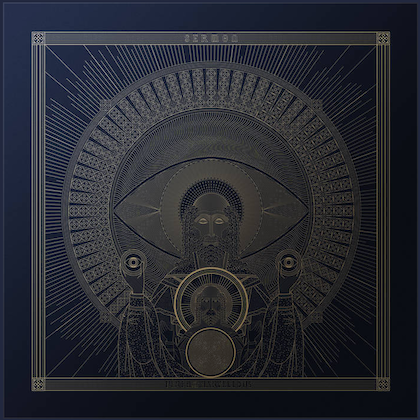 Timo is also highly regarded for his two AVALON albums, where he really gathered the crème de la crème of international metal talent, including members of HELLOWEEN, WITHIN TEMPTATION, AMARANTHE, SYMPHONY X and SONATA ARCTICA. In 2011, Guitar World magazine included Tolkki in the all-time top 50 list of fastest guitar players in the world and counted him among the hundred most influential guitarists ever. 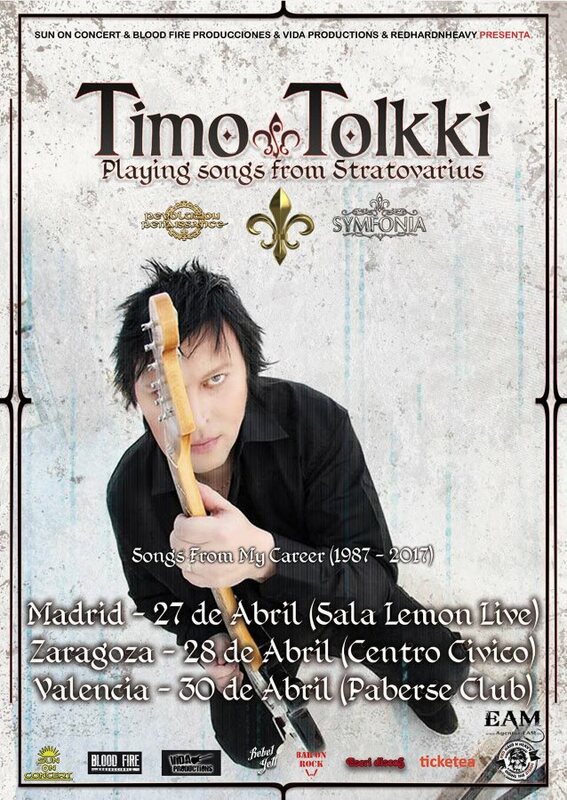 Tolkki will now embark on a 2017 tour where he will exclusively perform "Songs From His Career", including STRATOVARIUS favorites "Black Diamond", "Hunting High And Low", "Father Time" and "Against The Wind". Joining him on stage will be keyboard player Mikko Harkin (ex-SONATA ARCTICA, SYMFONIA); bassist Santtu Lehtiniemi; drummer Alex Landenburg (RHAPSODY) ; and vocalist Mike Livas. 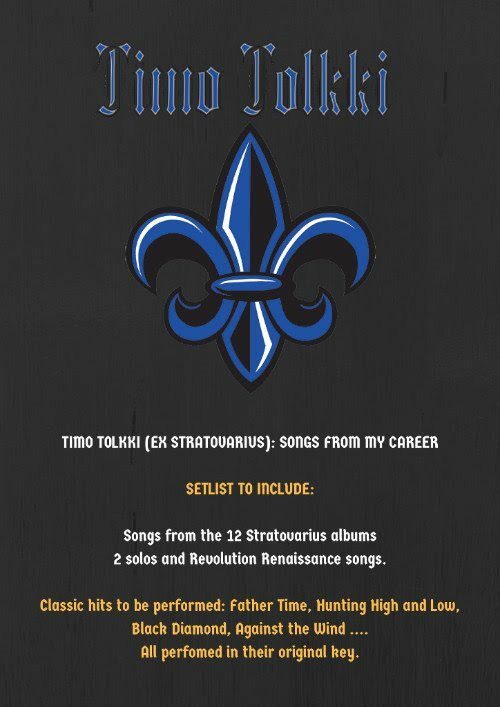 Timo handpicked Mike, having discovered his faithful but also quite passionate renditions of some old STRATOVARIUS favorites. Tolkki drew up and signed an official waiver on May 20, 2008 giving up all rights to the STRATOVARIUS name. The remaining STRATOVARIUS members Timo Kotipelto (vocals), Jens Johansson (keyboards) and Lauri Porra (bass) have since recorded and released four additional STRATOVARIUS albums with guitarist Matias Kupiainen.